It’s a reciprocated love is all we’re saying. PENNEY’S OPENED ITS first store on Mary Street in Dublin in June 1969 and since then, its parent company Primark, has expanded to the UK, Spain, the Netherlands, Portugal, France, Germany and Belgium. Yes, French people get to experience the joy of the Penney’s overspend, the not bothering to return the ill-fitting top they didn’t try on because it was only a fiver and start receiving compliments with the response, ‘Thanks, Penney’s’. Although these expansions are pretty fresh, it was way back in the 1970s that the company started making tracks to sell Irish goods abroad, government documents released recently have proven. 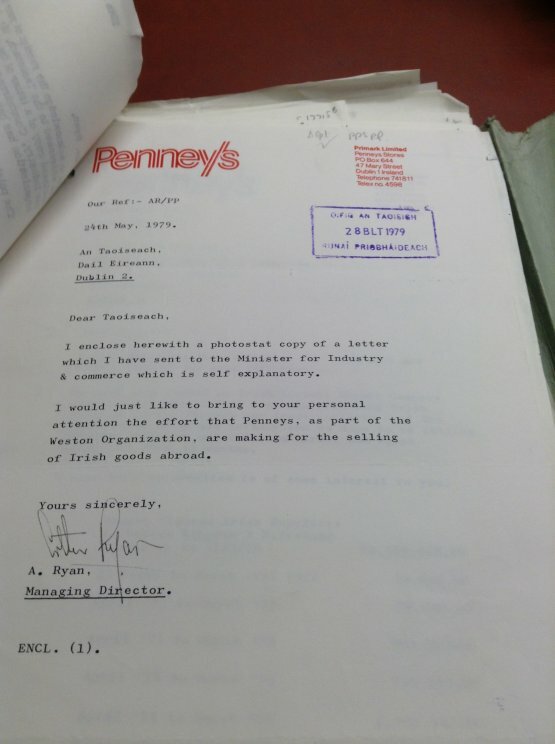 In May 1979, Managing Director of Primark Ireland wrote to the Taoiseach to bring to his “personal attention” those efforts being made. He explained that an Irish/Israeli export company had been formed and that they had a “full time man” promoting Irish goods with trace contacts in the Middle East. In a five year period, the company exported goods worth over £2.5 million to the UK and Northern Ireland, he added. 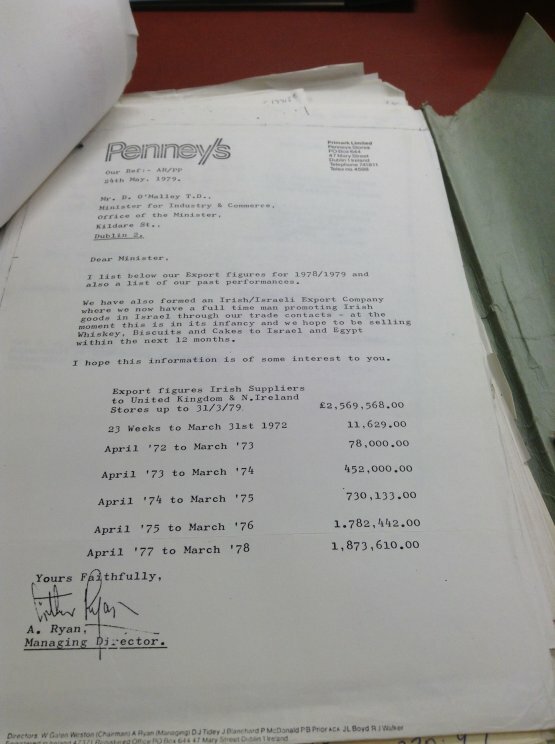 Email “Penney’s, helping the Irish economy since 1979”. Feedback on “Penney’s, helping the Irish economy since 1979”.